Liverpool found its fifth win in five games with an impressive victory against Tottenham Hotspur. Georginio Wijnaldum opened the mark for the Reds in the 39th minute after some messy clearing in the box by the defenders, before he headed the ball across the line with the referee granting the goal. Roberto Firmino then gave the away side some breathing room in the 54th minute with a tap-in after some messy play from the goalkeeper and the defenders. Erik Lamela gave the home team a goal in the third minute of stoppage time, but it was too late to salvage a point. Firmino was named “man of the match” and Liverpool now sits atop the league standings, behind Chelsea on goal differential. Bournemouth sits in fifth position after their exciting goal-filled game against Leicester. Eddie Howe’s men started the game strong, scoring three goals in the first half, including two break-away goals by Ryan Fraser and a penalty by Joshua King. The Foxes were slow to come back into the game, especially with Wes Morgan receiving a red card in the 69th minute. Adam Smith then knocked down a fourth goal for the home side in the 81st minute, guaranteeing three points for Eddie Howe and his men. Leicester were able to score two quick goals in the 88th and 89th minute from James Maddison and Marc Albrighton, respectively, but were unable to mount a comeback. Ryan Fraser was named “man of the match” and now has a total of three goals and two assists in this year’s campaign. Chelsea continue their red-hot start to the season with their fifth consecutive win over a struggling Cardiff City, who have yet to find their first win since their promotion. Sol Bamba gave the away team the lead at the 16th minute with a short-distance volley, before Eden Hazard took over the game for the home team with a hat-trick. Willian then sealed the victory for the Blues with a beautiful curling shot into the top right corner from outside the box. Hazard was named man of the match and now leads the league in goal scoring with now 5 goals to his name. It was a tight game between the two lower-half placed teams, with Wilfried Zaha’s 38th minute goal being the only difference. Zaha had missed Palace’s previous game versus Southampton with a groin injury but was able to bounce back with a superb goal. Zaha came down the left wing, pushing the ball past two defenders before slotting it in the right side of the goal from a difficult angle, barely inside the box. Zaha was named “man of the match” and continues to be Roy Hodgson’s stand-out man. Huddersfield still awaits their first win of the season. Despite their hiccup against Wolves in late August, Manchester City continue to show why they are still favorites to win this year’s Premier League. The Citizens dominated all statistics of the game and cleanly took the three points they came looking for. Two early first-half goals from Leroy Sané and David Silva put the home team in the lead and two minutes into the second half Raheem Sterling extended that lead. Bernardo Silva was awarded “man of the match” for his playmaking on offense, including five key passes. Manchester City now sits in third only two points behind the top two, while Fulham fell to 15th place. After dropping two tough games to Chelsea and Manchester City in August, Arsenal have started to find their footing and now boast a three-game winning streak. Both teams finished the first half goal-less, but Granit Xhaka was able to score a beautiful free-kick at the start of the second half to give the Gunners the lead. Mesut Özil then gave the away side some cushion with a second goal in the 58th minute. 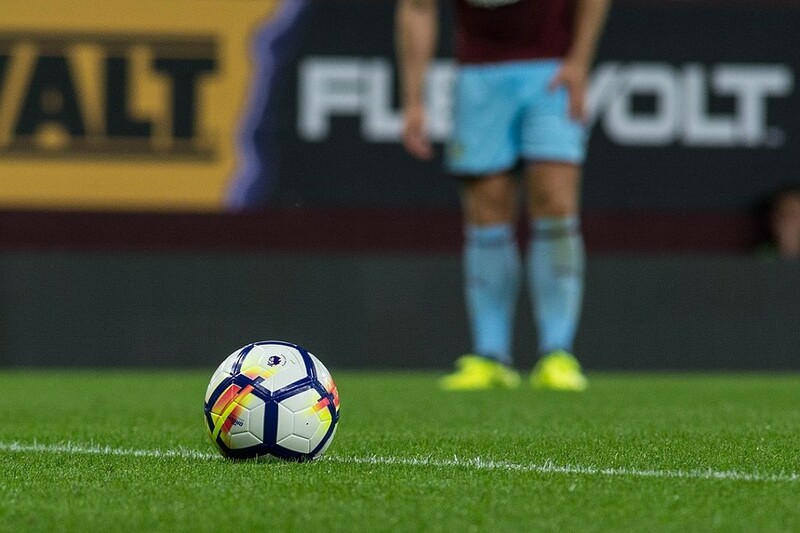 The hosts were not able to fire back until stoppage time, where Ciaran Clark headed the ball home on a counter-attack, but it was not enough to salvage a point. Alexandre Lacazette was named “man of the match” for his constant attacking threat despite claiming a goal himself. Arsenal continue to climb the table, while Newcastle remain in the relegation zone with only one point. Manchester United have now won two games in a row for the first time this season after their tight win over Watford. The Red Devils scored twice in the space of three minutes in the first half, with Romelu Lukaku scoring off of an Ashley Young cross in the 35th minute and Chris Smalling getting his own shot off in the 38th minute. Andre Gray pulled back a goal for the home team with a goal in the 65th. Manchester United held on, despite constant pressure in the last 20 minutes and even a red card for Nemanja Matic in stoppage time. Marouane Fellaini was named “man of the match” as the club tries to push its way into the top teams. This was Watford’s first loss this season, but they still remain in the top four. Wolves have now won three games in a row after their victory over last-placed Burnley. Despite 30 attempts, the home side was only able to score one goal, but it was enough. In the 61st minute, Raúl Jiménez was able to score from the center of the box with a shot to the bottom-left corner of the goal. Burnley were rarely a threat with only a few chances coming to Johann Berg Gudmundsson late in the game. Joao Moutinho was named “man of the match” as he controlled the game with 77 passes, more than anyone else on the field. The Wolves are now in the top half of the table and hope to stay. Burnley, however, continue their worst start to a top-flight season in 91 years. West Ham finally put an end to their disastrous start with their first win. Andriy Yarmolenko’s two first-half goals put the away side in comfortable position before Gylfi Sigurdsson scored just before the half time whistle went off. Manuel Pellegrini’s men faced a difficult second half but were able to extend their lead in the 61st minute with a clinical strike from Marko Arnautovic, right after a one-two with Pedro Obiang. The Hammers were able to hold the lead for the rest of the game and climb out of last place. Felipe Anderson was named “man of the match” and showed why the club spent $47 million on him over the summer. Monday’s game featured a lot of action as the two lower-half teams battled it out for important points. Southampton took the lead in the 35th minute after a beautiful 35-yard strike from Pierre-Emile Højbjerg finished in the bottom left of the goal. Danny Ings gave the home side a second goal from a penalty in the 65th minute, but Brighton were quickly to crawl back Shane Duffy’s header off of a free-kick. Glenn Murray ultimately tied the game with a late penalty in stoppage time, resulting in a point for each side. Højbjerg was named “man of the match” for his wonder-strike and midfield dominance. Both sides now have five points sitting in 13th and 14th place, with Southampton ahead on goal differential. This is second week in a row that Brighton have crawled back for a 2-2 draw. Honorable Mentions: Marouane Fellaini, Wilfried Zaha.